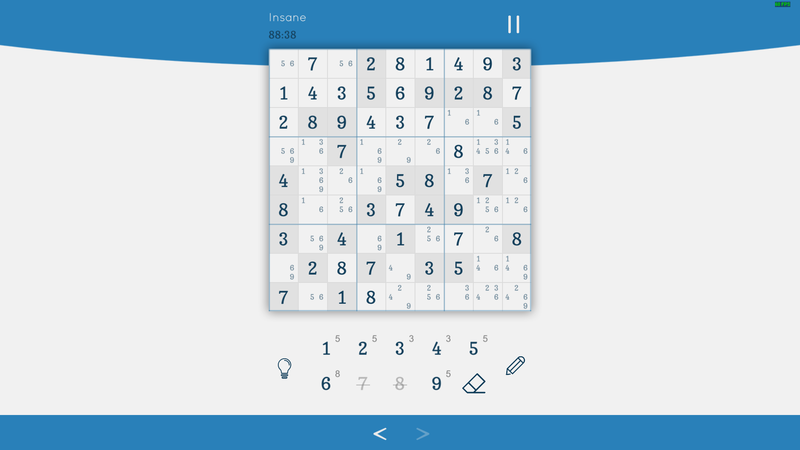 Kind of new to sudoku. I have tried a lot of advanced techniques I found online. No luck though. Anybody sees a next move? There are many ways to solve it (and i hope the members will present some). But do you know x-wings, (hidden) unique rectangles, w-wings and kites ? Or do you use chains ? Here is a single move that will solve the puzzle and only involves 4 cells. The logic is a bit more involved than we normally get in these sort of enquiries, so I'll talk you through it. The cells are labelled a-b-c-d. Now suppose cell a was not 3. Now there are only two 3's in Row 4, so cell b would have to be 3. In particular it would not be 5. Now there are also only two 5's in Row 4, so cell c would have to be 5. In particular it would not be 9. There are only two 9's in Box 4, cells c and d, so cell d would have to be 9. So let's see where we have gotten with all this. We have shown that if cell a is not 3, cell d must be 9. In particular it is not 3. On the other hand, if cell a is 3 then cell d is obviously not 3, since it's in the same column or box. So, if cell a is 3 or is not 3, cell d is not 3. Thus, since cell a can only be 3 or not 3 we can conclude that cell d can't be 3. In fact, this one elimination solves the whole puzzle, via a cascade of singles. PS I just noticed that you have a 9 in r4c4, but not in r4c2 or r9c2. There is an X Wing of 9's in r57/c24 which makes all three eliminations, so I'm assuming you used this move but just missed the elimination r4c4. In any event it doesn't affect the logic of the move I described above.